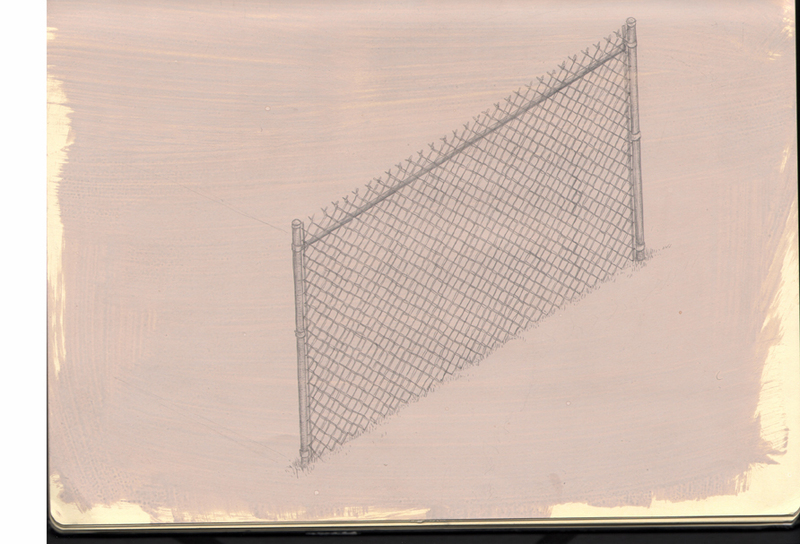 As some of my friends know I’m rather enamored with the idea of fences. 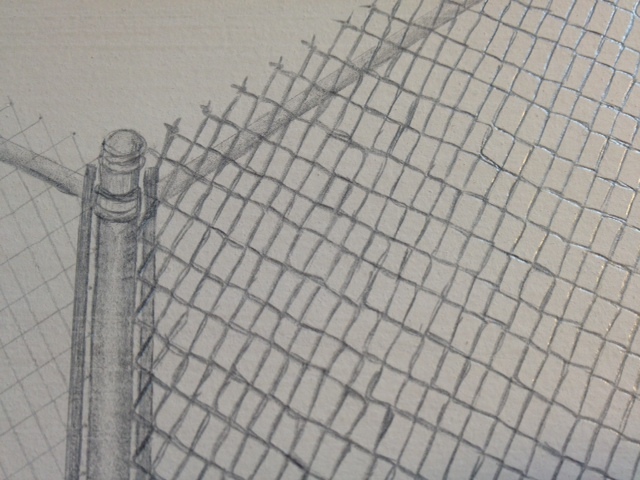 They pop up in lots of my work – from physical sculptures, to drawings, to photographs. Sometimes they are metaphorical, sometimes they are just plain real. A snippet of the larger drawing which is going ever so slowly.